If anyone could change the world purely based on smiles and enthusiasm, it just might be Carlos Rivera. This first-time advocate has dived headfirst into Dressember with no signs of hiding his heart for justice and excitement for the challenge. Carlos is a freshman at Northern Virginia Community College who recognizes his privilege of living a life untouched by human trafficking, in which he and his three sisters exist safely and are free to pursue their own aspirations, unlike those trapped in modern-day slavery. After hearing about Dressember, his mind was consumed by the issue, its victims, and how he could play a role in the conversation. 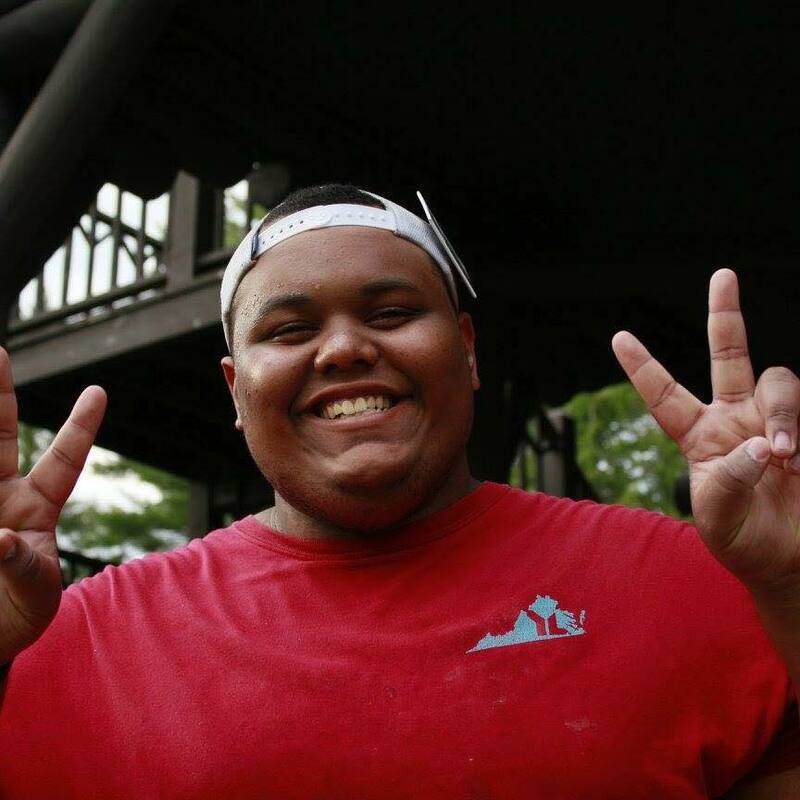 Outside of school and his job, Carlos enjoys hanging out with his friends and family and is involved with Young Life, an organization through which he invests a great deal of time serving and supporting his peers and younger teenagers. He says that he realized how different his life would be if any of these people were absent. By acknowledging the difference that even a single individual makes and the horrible ways that trafficking affects women, men, and children, Carlos was inspired to participate in Dressember, not only for the victims but for the families and communities that are hurt by their enslavement. By acknowledging the difference that even a single individual makes and the horrible ways that trafficking affects women, men, and children, Carlos was inspired to participate in Dressember. It is painful to become aware that tens of millions of people have their human dignity stripped away and their self-images trampled because others with more power take advantage of their vulnerability, with regard only for personal gain. In response, Carlos not only joined a fundraising team with his friends but made the decision to consciously remove some of his own dignity by defying stylistic norms. Carlos admits that he struggles with his own self-image. Despite this, he wants to use his choice of clothing this month to draw more attention to the challenges faced by people who are trapped in the unforgiving system of trafficking than to make himself look better in the eyes of society. He will not be dressing UP every day but instead will be wearing the same comfy t-shirt, shorts, and tie for all 31 days of December. “If [victims of trafficking] do not have dignity, why should I have dignity?” he asks compellingly. He is also thoughtfully considering the participants who will be wearing dresses all month and is opting for shorts so he does not have the extra privilege of staying a bit warmer than those wearing leg-baring frocks. "If [victims of trafficking] do not have dignity, why should I have dignity?” he asks compellingly. So far, the Dressember campaign has been eye-opening and more than a little difficult, Carlos admits. He knew wearing the same conspicuous outfit all month would be a bit awkward, but having others’ gazes on him in public makes the experience a bit more real. As a male, he has also faced the need to defend his participation in Dressember, which has been seen in the past as a “woman’s movement.” Carlos has not been deterred, instead fueling his motivation with the realization that he is experiencing a tiny fraction of the discomfort and pushback that those who are trafficked must live out daily. Overall, though, Carlos has been pleasantly surprised by the support he has received from his friends through both verbal encouragement and financial gifts. He encourages everyone who participates to strive to raise up a support system by either joining a team or just generating awareness of Dressember, which has been his favorite part. He tells excitedly that it’s really special and exciting to be able to help people understand the enormity of the issue, which many of us have failed to see. He wants to change that. Carlos especially wants to show men and boys that ALL people should be bold enough to participate, that Dressember and the general fight for justice are not “just for girls.” He invites other men to support women by taking an active role, saying, “We should not just stand behind them but stand with them.” He also encourages men to use their voices for good to fight against the darkness of the (mostly) male oppressors who use coercion and violence often against women, vulnerable men, and children. To those of you reading who are considering participation, especially men, it’s not too late to jump in! Carlos recommends not only educating yourself about the issue but also being prepared to answer the question, “Why is this important to YOU?” He wants people to know that it is worth it to make even a small difference to help others. Consider this your formal invitation to be part of a global team of Dressember advocates, striving to support trafficking victims and survivors and recognize their dignity all around the world. After all, it’s bigger than a tie. Chynna Terrell is an ENFJ from Texas who holds her B.A. in English Literature from the University of Oklahoma. Aside from her work as a designer in a flower shop, she loves to write and edit for the Dressember blog. And, why yes, she would love to invite you over for a hot cup of tea, a puzzle, and good conversation. Molly Acord of "Fair + Simple"